Yale University Press, 9780300238501, 296pp. 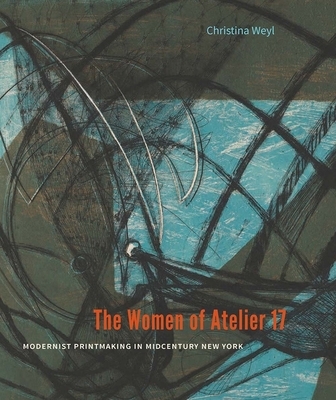 In this important book Christina Weyl takes us into the experimental New York print studio Atelier 17 and highlights the women whose work there advanced both modernism and feminism in the 1940s and 1950s. Weyl focuses on eight artists—Louise Bourgeois, Minna Citron, Worden Day, Dorothy Dehner, Sue Fuller, Alice Trumbull Mason, Louise Nevelson, and Anne Ryan—who bent the technical rules of printmaking and blazed new aesthetic terrain with their etchings, engravings, and woodcuts. She reveals how Atelier 17 operated as an uncommonly egalitarian laboratory for revolutionizing print technique, style, and scale. It facilitated women artists’ engagement with modernist styles, providing a forum for extraordinary achievements that shaped postwar sculpture, fiber art, neo-Dadaism, and the Pattern and Decoration movement. Atelier 17 fostered solidarity among women pursuing modernist forms of expression, providing inspiration for feminist collective action in the 1960s and 1970s. The Women of Atelier 17 also identifies for the first time nearly 100 women, many previously unknown, who worked at the studio, and provides incisive illustrated biographies of selected artists. Christina Weyl is an independent scholar who focuses on American printmaking and women artists.